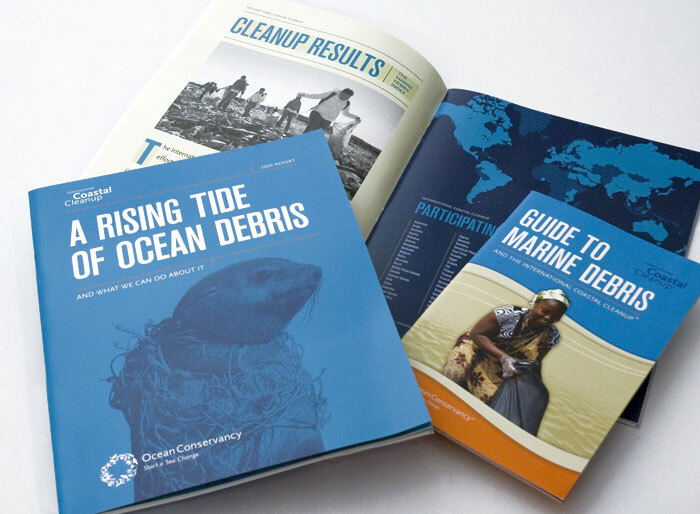 I created three annual reports that reflect the uniqueness of the Ocean Conservancy. Using photographs provided to me, I made a splash for each year. 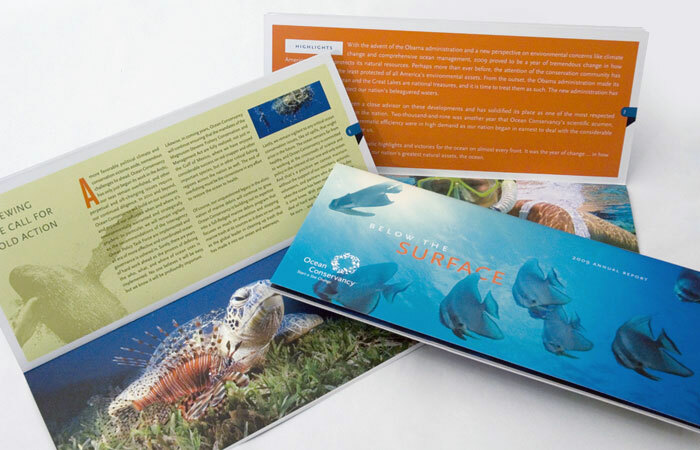 Each report was arranged in a captivating way that engaged the reader to learn about their activities while also educating them on general ocean facts.